You've worked hard to get where you are today. Don't let sub-standard equipment jeopardize what you've accomplished. When it's time to replace your old SWAT boots, choose these Reebok Women's RB874 Rapid Response EH Composite Toe Military Boots. This pair of s ... (see full details) (see specifications) #RBKRB874. You've worked hard to get where you are today. Don't let sub-standard equipment jeopardize what you've accomplished. When it's time to replace your old SWAT boots, choose these Reebok Women's RB874 Rapid Response EH Composite Toe Military Boots. This pair of stealth footwear is designed with the most rigorous and dangerous situation in mind. In addition this workwear is manufactured with black leather uppers with ballistic nylon panels provide strength, durability and breathability. The lining in these boots are also constructed with Tailex and Cambrelle for exceptional warmth and comfort. In addition these fabrics are designed to reduce chafing and allow moisture to move away from your feet, keeping them dry and healthy. Composite toes on these Reebok boots are tough and shield your feet from impacts. However, unlike steel toes, composite toes are lightweight and non-conductive. That means they won't transfer electricity or heat like steel ones will.Molded, dual-density polyurethane custom inserts in these women's boots help keep your feet comfortable. They also prevent ankle and leg fatigue by supporting your feet. This footwear also features outsoles that are constructed for getting the job done. These outsoles also feature dual-density cushioned EVA midsoles to give you spring in your step and absorb shock. A mountain trail sole bottom is designed for wear on rough terrain. The soles used for this footwear offers you all types of advantages. Such as slip, oil and chemical resistance. That means the soles won't degrade due to the substances you come into contact with on a daily basis. They're also resistant to metal chips, heat and abrasion, so ou can wear them in all sorts of situations with confidence. You like to think that you're the best at what you do. Be the best judge of footwear too. Buy a pair of Reebok Women's RB874 Rapid Response EH Non Metallic Composite Toe Boots from the Working Person's Store today. If you liked the Converse C874, you will love the Reebok RB874. A lot of my boots tend to stretch out a lot on the sides. So I ordered these in my normal size but wide. Not only were they huge around the middle, but they were way too big! I exchanged them for a half-size smaller and medium width. They were still too large. After walking around for a little while, I could tell I was going to end up with blisters. I'm not sure if I was overcompensating for the loose fit, but I had to lace them up really tight to keep them from moving around on my feet. This caused my toes to start going numb. I gave up. It seemed like no matter what I did they were digging into my feet somewhere. The heel was the worst part. I am doing a second exchange now, but for the Thorogood Omega Waterproof boot. Everyone seems to love those. These Reebok boots were very well made and perfect for work. Very comfortable. I need them for a hip hop dance show and the style I ordered ended up being to big. I did find a smaller size which work perfectly. Thanks! 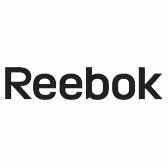 Reebok Boots: Women's RB874 Rapid Response EH Composite Toe Military Boots is being added to your cart.